When it comes to Halloween treats for our boys, my husband goes for sugar and I try to go for nutrition. I guess we have to balance each other out right? Without him, my kids would have such a boring life! We decided to go to target as a family and get our Halloween treats; we divided, we conquered! 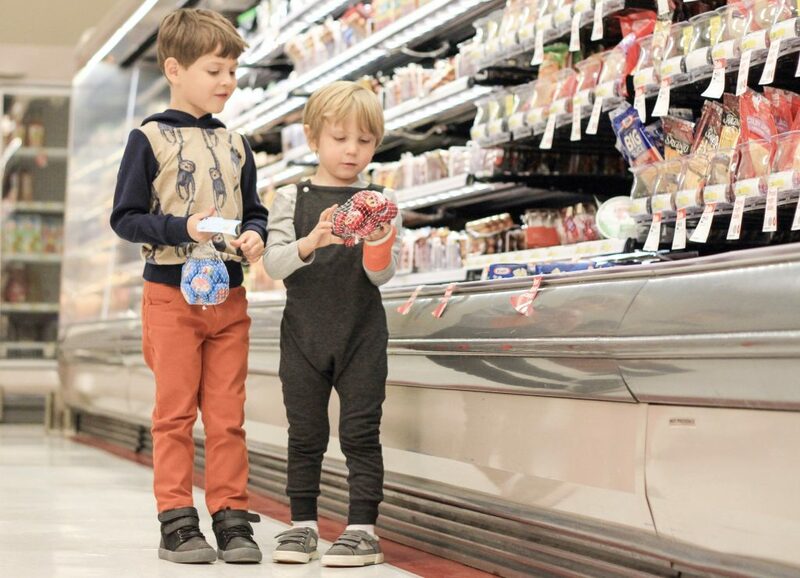 He got candy and I got these Mini Babybel® cheese treats, in the cheese and meats section. The boys loved the packaging because they have mummies and vampires! I mean who doesn’t love mummies and vampires? I love the fact that they are 100% real cheese which adds wholesome nutrition to the fun! So it’s a win-win situation. 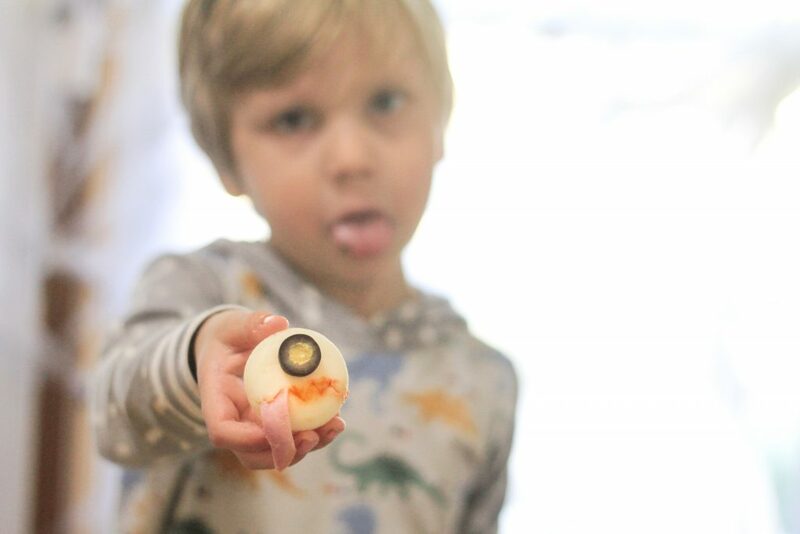 After we got home I wanted the boys to have extra fun with the Mini Babybel® cheese treats, so we decided to create these super cute monsters! I had the boys open their own cheese because it’s super easy and I love to let them be as independent as possible. Then they each gave me their cheese, using a knife I cut different smiles on them and then let them use some pre-cut lunch meat to put it on the smile, and it looks like a hanging tongue. After that, they used toothpicks to add marinara sauce inside the smile, to make it look extra creepy! Like the monsters just had a snack. 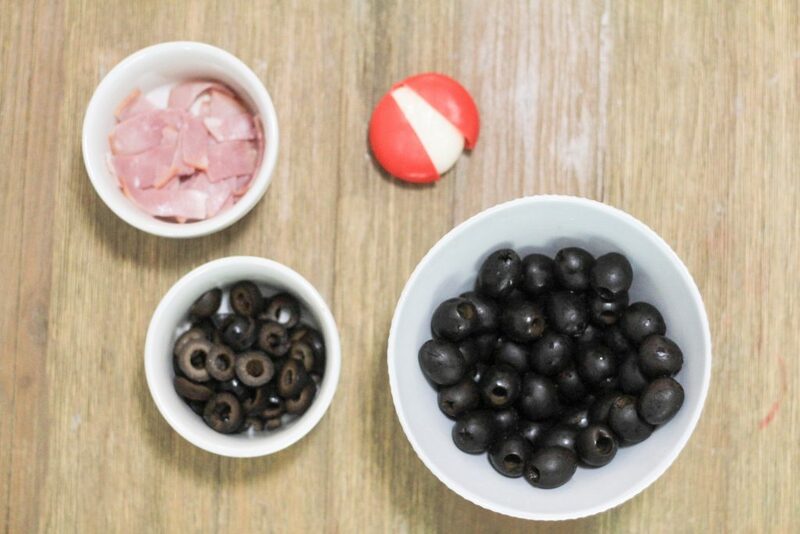 Then we used sliced black olives to make eyes or a single eye, depending on the type of monster. Get creative with it! 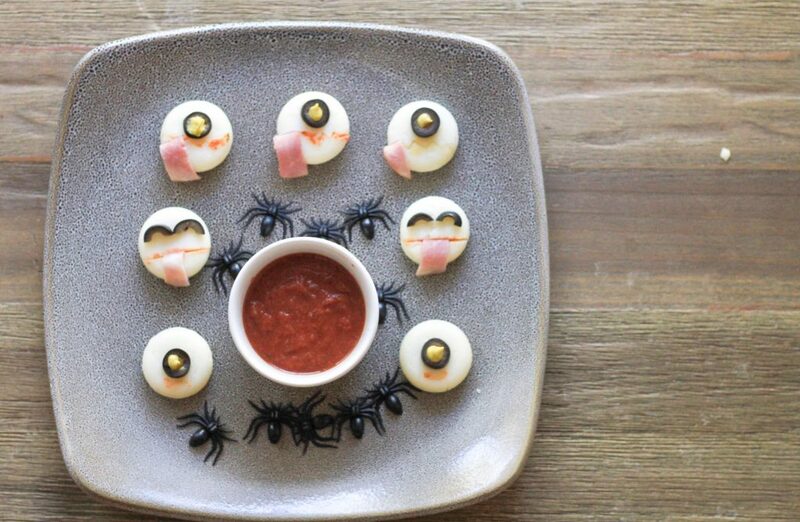 Our single eyed monsters had a mustard center because the creepier the better. Just like that, we had a fun-filled afternoon of shopping, crafting and eating a nutritious yet delicious Halloween treat! I would say I got more points than my husband this time :). If you don’t feel like a whole afternoon of crafting, or you just don’t have the time for it, another great idea is to add a little monster on each of your kid’s lunches. 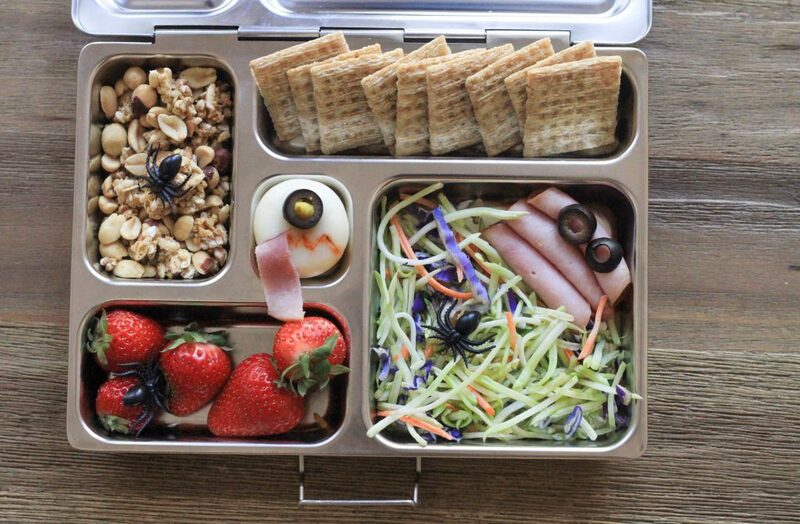 Without the kids, these only take two minutes to make and they will be over the moon excited to find such a creepy and fun surprise in their lunch box! See? You don’t always have to think candy when it comes to Halloween treats! 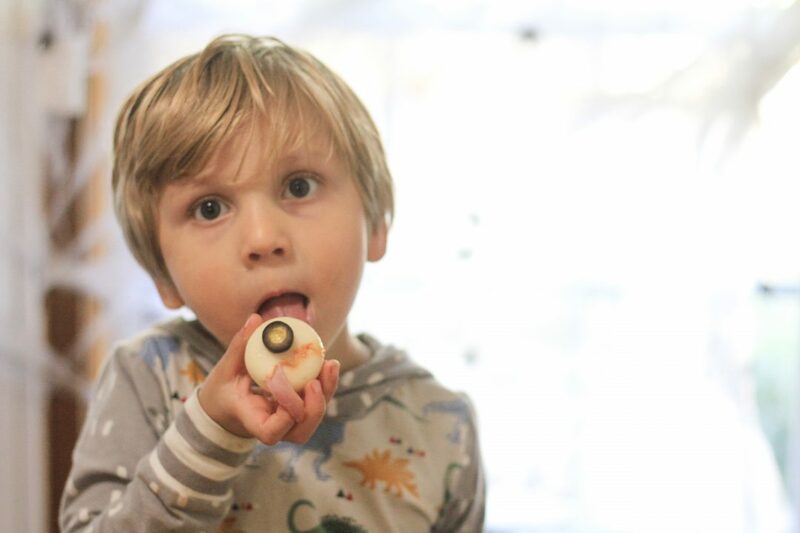 Mini Babybel® cheese is creamy and delicious, and the possibilities are endless when it comes to being creative with it! Go to this website and see many more ideas and learn about these yummy treats that will take healthy snacking to a whole new exciting level. Head on to Target, and only grab your Mini Babybel® cheese I dare you! Ok kidding, grab all the things! just don’t forget the cheese. Here’s a live video of us making the cheesy monsters! Without rehearsal, so it’s quite fun, if you know what I mean. It’s so nice to have a healthy alternative to candy! Such a good idea! I’m going to have to try this with my kiddos! 🙌🏻❤️ Thank you for sharing!! This is so adorable! Genius, using a healthy food and creating a festive treat! I also love the lunchbox idea. Tucking this in my back pocket for the toddler, thanks! !